Two years ago, Disney and director Jon Favreau reveled in the bare necessities as The Jungle Book danced merrily to a global box office haul of $996 million. 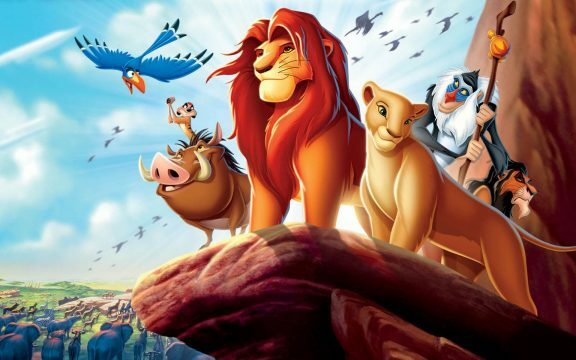 Such a landmark success was enough to spawn talk of a sequel, though the Mouse House has since appointed Favreau at the helm of another live-action fairytale: The Lion King. On paper, it’s a way for the studio to hedge its bets; after bringing Mowgli and the gang over to live-action, Jon Favreau can now approach The Lion King with a sense of confidence. But as the writer-director told those in attendance at Tribeca Film Festival (via EW), he’s now ready to fully immerse himself in the story at hand before stepping foot in the Pride Lands of Africa. When you’re directing, you have to love [what you’re making]. You have to love it to the point of obsession. I have to live, breathe, sleep it, dream it. If I’m going to do my best work, I need to be completely immersed… you look at the material and you get inspired, and then try to update it for our time. With the Disney stuff, people know even more… With Lion King, people really know [the original], and they grew up with it and it has emotional impact. I think about what I remember about The Lion King? Adapting a beloved story on the level of The Lion King is something writer-director Bill Condon had to come to terms with just recently when approaching Beauty and the Beast. The tale as old as time graced theaters over a month ago to fairly positive reviews, and has since climbed to an eye-watering $1.1 billion at the global box office. That’s quite the feat, but if Favreau is feeling any pressure, it doesn’t show. When pressed for further details on his method of approach, Favreau reflected on The Jungle Book and how he was able to balance motion-capture technology with a stellar voice cast. I made a big list, and those are the images we definitely needed, and you have more latitude to shift and change those things. Donald Glover and the great James Earl Jones are locked in – Beyoncé is also circling the role of Nala – though there’s currently no mention of when The Lion King will enter production in earnest. As for Jon Favreau, Marvel fans can look forward to him reprising as Happy Hogan in July’s Spider-Man: Homecoming. Look for that one to scurry into theaters in time for July 7th.